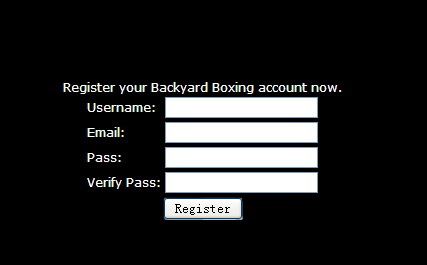 Backyard Boxing is a multiplayer online game. Boxing underground for dough. 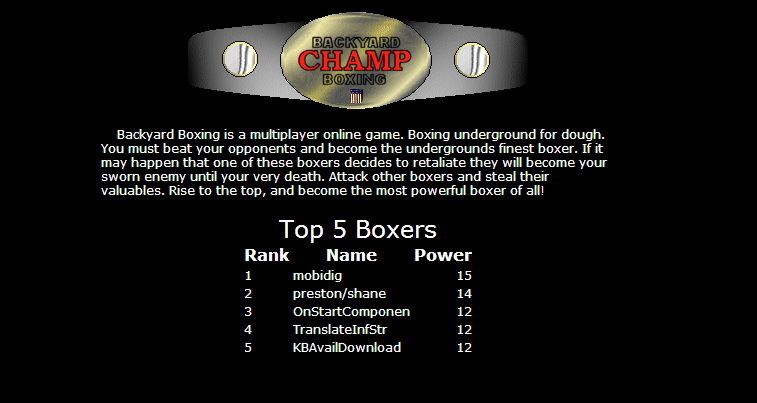 You must beat your opponents and become the undergrounds finest boxer. If it may happen that one of these boxers decides to retaliate they will become your sworn enemy until your very death. Attack other boxers and steal their valuables. Rise to the top, and become the most powerful boxer of all!